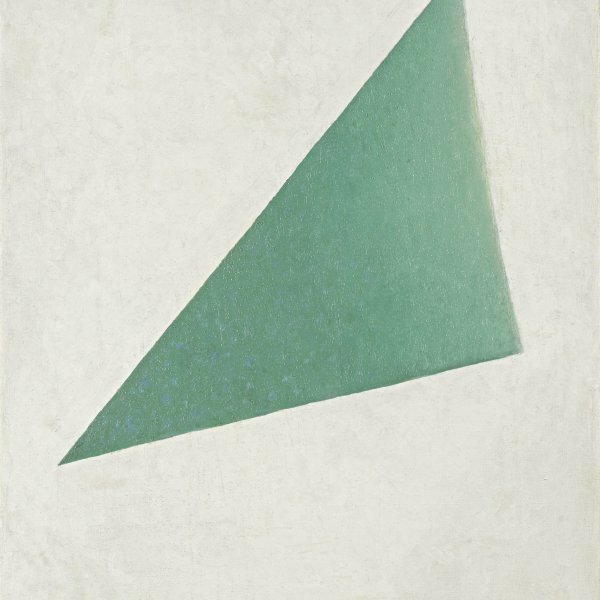 When Malevich established the Supremus group in 1916, which was joined by Popova and other artists such as Rozanova, Kliun, Udaltsova and Puni, none of its members was a genuine Suprematist. 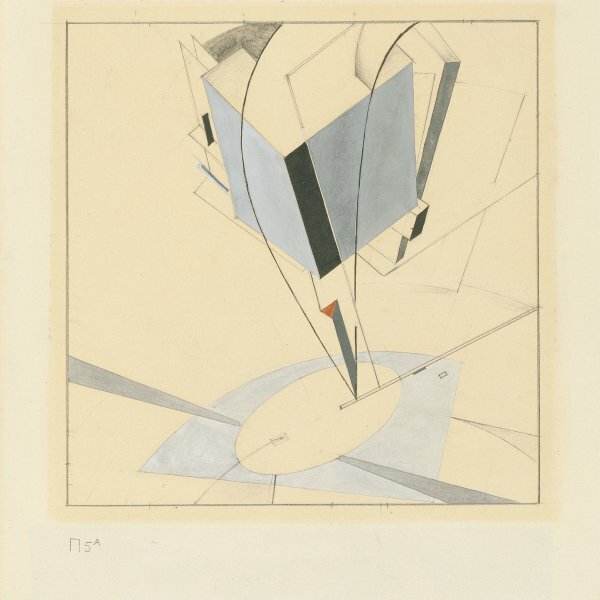 As Tatiana Goriacheva has pointed out, to them “Suprematism was more an impulse to seek out their own individual direction within the new art than a direct guide to action.” Furthermore, most of these artists judged Malevich’s Suprematism and Tatlin’s Constructivism to be complementary, and strove to find a language that was a synthesis of both. 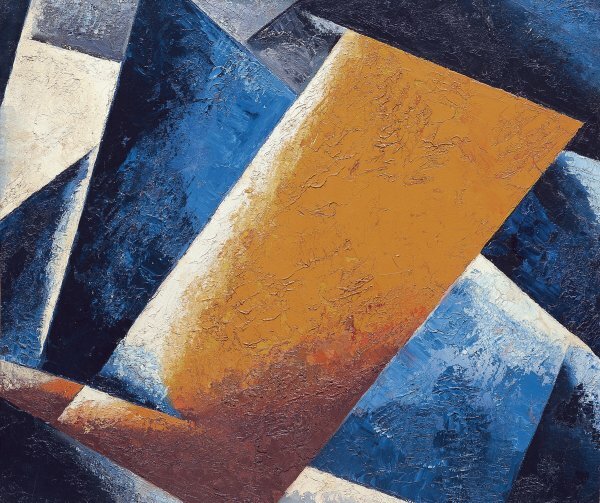 Indeed, the present Painterly Architectonic shows that, in practice, both trends were perfectly compatible as they shared the same roots — Cubism and Futurism — and were underpinned by geometry as the basis of their plastic thought. 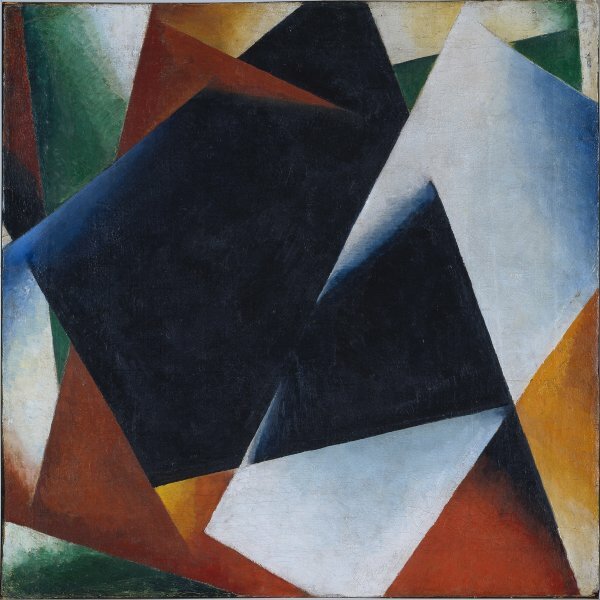 The series of Painterly Architectonics — or Architectonic Compositions — represented in the Museo Thyssen-Bornemisza collection by Painter Architectonic (Still Life: Instruments) and these two smaller canvases, is a perfect example of Popova’s particular blend of Malevich’s Suprematism and Tatlin’s proto-Constructivism. In these geometric constructions, the painter concentrates on creating a “painterly architectonic” in order to lay bare the rhythmic order of the elements, the harmony of their proportions and their colour combinations. Her pursuit of a formula for achieving the ideal compositional structure led her to experiment with the interaction of various planes of colour that would become the expressive medium of her compositions. Magdalena Dabrowski wrote of these constructions of colour, light and space that occupy the entire surface of the canvas, that “the forms vibrate with color and texture, creating a dynamic whole.” It is precisely this interaction between the various planes that infuses her abstract compositions with dynamism.